RGV Cosmetic Surgery and Vein Care is the Rio Grande Valley’s premier cosmetic surgery and varicose vein care center. 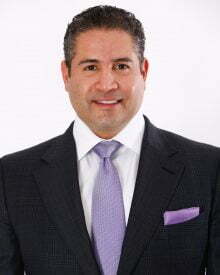 Dr. Filiberto Rodriguez, MD, FACS, FAACS is the founder and Medical Director of RGV Cosmetic Surgery and Vein Care. Dr. Rodriguez is board-certified by the American Board of Surgery, board-certified by the American Board of Cosmetic Surgery, and also a Diplomate of the American Board of Venous and Lymphatic Medicine. He is one of the few cosmetic surgeons in the country with advanced fellowship training in cardiovascular, reconstructive plastic, and cosmetic surgery. He attended Princeton University and received a full academic scholarship to attend the University of Virginia School of Medicine. After medical school, he completed nine years of extensive General, Thoracic, and Cardiovascular surgical training at Stanford University, after which he ultimately chose to pursue training in plastic and cosmetic surgery at UCLA and the Body Sculpting Center in Scottsdale, Arizona. Dr. Rodriguez has authored and/or co-authored over 30 peer-reviewed publications and has presented his research at over 50 international conferences. He is recognized as a Fellow of the American College of Surgeons and also as a Fellow of the American Academy of Cosmetic Surgery, and he is an examiner for the American Board of Cosmetic Surgery. He specializes in breast augmentation, breast lift, revision breast augmentation, tummy tuck, mommy makeovers, liposuction with fat transfer, and varicose vein treatments in Brownsville and McAllen, Texas. 1995-1999: University of Virginia School of Medicine; M.D. RODRIGUEZ F, Borsand MA. 100 Consecutive Lipo-Abdominoplasty Procedures: Modified Avelar Technique for Full Abdominoplasty Without Panniculus Undermining – Advances, Morbidity, and Complications. The American Journal of Cosmetic Surgery. 2011 Dec;28(4):241-250. Kindberg K, Carlhäll C, Karlsson M, Nguyen TC, Cheng A, Langer F, RODRIGUEZ F, Daughters GT, Miller DC, Ingels NB. Transmural strains in the ovine left ventricular lateral wall during diastolic filling. J Biomech Eng. 2009 Jun;131(6):061004. RODRIGUEZ F, Nguyen TC, Galanko JA, Morton J. Gastrointestinal complications after coronary artery bypass grafting: a national study of morbidity and mortality predictors. J Am Coll Surg. 2007 Dec;205(6):741-7. Epub 2007 Oct 1. Langer F, RODRIGUEZ F, Cheng A, Ortiz S, Harrington KB, Zasio MK, Daughters GT, Criscione JC, Ingels NB, Miller DC. Alterations in lateral wall transmural strains during acute circumflex and anterior descending coronary artery occlusions. ANN THORAC SURG. 2007 Jul;84(1):51-60. Nehra D, Zeineh M, RODRIGUEZ F, Dutta S. Double reverse intestinal malrotation: a novel rotational anomaly and its surgical correction. J Pediatr Surg. 2007 Mar;42(3):578-81. RODRIGUEZ F, Green GR, Dagum P, Nistal JF, Harrington KB, Daughters GT, Ingels NB, Miller DC. Left ventricular volume shifts and aortic root expansion during isovolumic contraction. J HEART VALVE DIS. 2006 July; 15: 465-473. Langer F, RODRIGUEZ F, Cheng A, Ortiz S, Nguyen TC, Zasio MK, Liang D, Daughters GT, Ingels NB, Miller DC. Posterior mitral leaflet extension: an adjunctive repair option for ischemic mitral regurgitation? J THORAC CARDIOVASC SURG. 2006 Apr;131(4):868-77. Epub 2006 Mar 2. RODRIGUEZ F, Langer F, Harrington KB, Tibayan FA, Zasio MK, Liang D, Daughters GT, Ingels NB, Miller DC. Effect of cutting second-order chordae on in-vivo anterior mitral leaflet compound curvature. J HEART VALVE DIS. 2005 Sep;14(5):592-601; discussion 601-2. Langer F, RODRIGUEZ F, Ortiz S, Cheng A, Zasio MK, Liang D, Daughters GT, Ingels NB, Miller DC. Subvalvular repair: The key to repairing ischemic mitral regurgitation? CIRCULATION 2005 Sept; 112 [suppl I]: I383-9. Cheng A, Langer F, RODRIGUEZ F, Criscione JC, Daughters GT, Miller DC, Ingels NB. Transmural sheet strains in the lateral wall of the ovine left ventricle. AM J PHYSIOL HEART CIRC PHYSIOL. 2005 Sep; 289(3):H1234-41. Epub 2005 May 6. Tibayan FA, RODRIGUEZ F, Langer F, Zasio MK, Bailey L, Liang D, Daughters GT, Ingels NB, Miller DC. Annular or subvalvular approach to chronic ischemic mitral regurgitation? J THORAC CARDIOVASC SURG. 2005 June; 129(6): 1266-75. Langer F, Tibayan FA, RODRIGUEZ F, Timek TA, Zasio MK, Liang D, Daughters GT, Ingels NB, Miller DC. Altered mitral valve kinematics with atrioventricular and ventricular pacing. J HEART VALVE DIS. 2005 May; 14: 286-294. Cheng A, Langer F, RODRIGUEZ F, Criscione JC, Daughters GT, Miller DC, Ingels NB. Transmural cardiac strains in the lateral wall of the ovine left ventricle. AM J PHYSIOL HEART CIRC PHYSIOL. 2005 Apr: 288(4): H1546-56. Epub 2004 Dec 9. RODRIGUEZ F, Langer F, Harrington KB, Cheng A, Daughters GT, Criscione JC, Ingels NB, Miller DC. Alterations in transmural strains adjacent to ischemic myocardium during acute mid-circumflex occlusion. J THORAC CARDIOVASC SURG. 2005 April; 129(4): 791-803. Harrington KB, RODRIGUEZ F, Cheng A, Langer F, Ashikaga H, Daughters GT, Criscione JC, Ingels NB, Miller DC. Direct measurement of transmural laminar architecture in the anterolateral wall of the ovine left ventricle: new implications for wall thickening mechanics. AM J PHYSIOL HEART CIRC PHYSIOL. 2005 Mar: 288(3): H1324-30. Epub 2004 Nov 18. Timek TA, Lai DT, Liang D, Tibayan FA, Langer F, RODRIGUEZ F, Daughters GT, Ingels NB, Miller DC. Effects of paracommissural septal-lateral annular cinching on acute ischemic mitral regurgitation. CIRCULATION 2004 Sept 14; 110 [suppl II]: II79-84. RODRIGUEZ F, Langer F, Harrington KB, Tibayan FA, Zasio MK, Liang D, Daughters GT, Ingels NB, Miller DC. Cutting second-order chords does not prevent acute ischemic mitral regurgitation. CIRCULATION 2004 Sept 14; 110 [suppl II]: II91-7. Tibayan FA, RODRIGUEZ F, Langer F, Liang D, Daughters GT, Ingels NB, Miller DC. Undersized mitral annuloplasty alters left ventricular shape during acute ischemic mitral regurgitation. CIRCULATION 2004 Sept 14; 110 [suppl II]: II98-102. Tibayan FA, RODRIGUEZ F, Langer F, Zasio M, Bailey L, Liang D, Daughters GT, Ingels NB, Miller DC. Alterations in left ventricular torsion and diastolic recoil after myocardial infarction with and without chronic ischemic mitral regurgitation. CIRCULATION 2004 Sept 14; 110 [suppl II]: II109-14. RODRIGUEZ F, Langer F, Harrington KB, Tibayan FA, Zasio MK, Liang D, Daughters GT, Covell JW, Criscione JC, Ingels NB, Miller DC. Importance of mitral valve second-order chordae for left ventricular geometry, wall thickening mechanics, and global systolic function. CIRCULATION 2004 Sept 14; 110 [suppl II]: II115-22. Tibayan FA, RODRIGUEZ F, Langer F, Zasio MK, Bailey L, Liang D, Daughters GT, Karlsson MO, Ingels NB, Miller DC. Increases in mitral leaflet radii of curvature with chronic ischemic mitral regurgitation. J HEART VALVE DIS. 2004 Sep; 13(5): 772-8. Tibayan FA, RODRIGUEZ F, Langer F, Liang D, Daughters GT, Ingels NB, Miller DC. Mitral suture annuloplasty corrects both annular and subvalvular geometry in acute ischemic mitral regurgitation. J HEART VALVE DIS. 2004 May; 13: 414-420. Tibayan FA, RODRIGUEZ F, Langer F, Zasio MK, Baily L, Liang D, Daughters GT, Ingels NB, Miller DC. Does septal-lateral annular cinching work for chronic ischemic mitral regurgitation? J THORAC CARDIOVASC SURG. 2004 March; 127(3): 654-63. RODRIGUEZ F, Tibayan FA, Glasson JR, Liang D, Daughters GT, Ingels NB, Miller DC. Fixed-apex mitral annular descent correlates better with left ventricular systolic function than does free-apex LV long axis shortening. J Am Soc Echocardiogr. 2004 Feb; 17(2): 101-107. Timek T, Green GR, Tibayan FA, Lai DT, RODRIGUEZ F, Liang D, Daughters GT, Ingels NB, Miller DC. Aorto-mitral angle during hemodynamic interventions. ANN THORAC SURG. 2003 Dec; 76(6): 1944-50. Tibayan FA, RODRIGUEZ F, Langer F, Zasio MK, Bailey L, Liang D, Daughters GT, Ingels NB, Miller DC. Annular remodeling in chronic ischemic mitral regurgitation: ring selection implications. ANN THORAC SURG. 2003 Nov; 76(5): 1549-54; discussion 1554-5. Tibayan FA, RODRIGUEZ F, Liang D, Daughters GT, Ingles NB, Miller DC. Paneth suture annuloplasty abolishes acute ischemic mitral regurgitation but preserves annular and leaflet dynamics. CIRCULATION 2003 Sept 9; 108 [suppl II]: II128-33. Tibayan FA, RODRIGUEZ F, Zasio MK, Baily L, Liang D, Daughters GT, Langer F, Ingels NB, Miller DC. Geometric distortions of the mitral valvular-ventricular complex in chronic ischemic mitral regurgitation. CIRCULATION 2003 Sept 9; 108 [suppl II]:II116-21. RODRIGUEZ F, Ragosta M, Seiver A. Myocardial infarction caused by blunt chest injury: A case report and review of the literature. Surgical Rounds. 26(6): 279-283, 2003 June. Umaña JP, Lai DT, Mitchell RS, Moore KA, RODRIGUEZ F, Robbins RC, Oyer PE, Dake MD, Shumway NE, Reitz BA, Miller DC. Is medical therapy still the optimal treatment strategy for patients with acute type B aortic dissections? J THORAC CARDIOVASC SURG. 2002 Nov; 124(5): 896-910. Timek TA, Lai DT, Tibayan F, Liang D, RODRIGUEZ F, Daughters GT, Dagum P, Ingels NB, Miller DC. Annular versus subvalvular approaches to acute ischemic mitral regurgitation. CIRCULATION 2002 Sept 24; 106 [suppl I]: I27-32. RODRIGUEZ F, Carmeci C, Dalman RL, Lee WA. Spontaneous late carotid-cutaneous fistula following radical neck dissection. Vascular Surgery. 35(5): 409-13, 2001 Sept-Oct.
King RC, Binns OA, RODRIGUEZ F, Kanithanon RC, Daniel TM, Spotnitz WD, Tribble CG, Kron IL. Reperfusion injury significantly impacts clinical outcome after pulmonary transplantation. ANN THORAC SURG. 69(6): 1681-5, 2000 June. RODRIGUEZ F. Screening for carotid artery stenosis and performance of carotid endarterectomy in select asymptomatic patients is cost-effective. McGill Journal of Medicine. 5: 35-41, 1999.